moreStories. moreSmiles. moreSharing. – For the love of Story Telling. Personal. Business. People. Our clients trust us to build and manage their social media accounts. You can rely on us to be knowledgeable on current marketing trends, strategies and tactics related to digital advertising, social media, and customer media habits. As inbound marketing specialists, we love curating and creating content to help drive social media traffic and leads. News Feeds: we post news stories directly to your social media to drive more traffic to you (and create your social media properties). We are content curating experts. We are in the business of story-telling – building content for your social media properties. 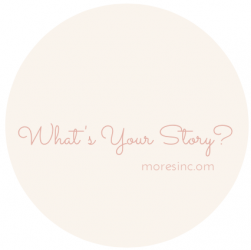 We would love to tell your story and share it with the world.